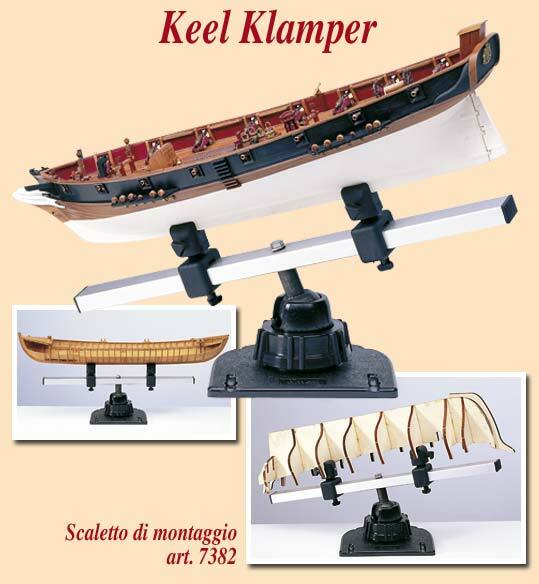 Amati 7382 Keel Klamper ship modeller’s vice! Use this modeller’s vice for every stage of ship model construction, from planking the hull to deck construction and detailing. Fully adjustable, rotating aluminum bar, outfitted with two sliding grips, holds the keel or the frame steady while you work. This is an indispensable tool for the serious ship modeller.